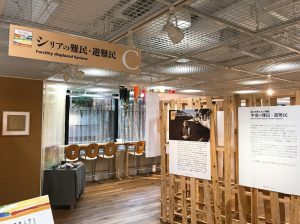 In this column, we will introduce several BE＊hive exhibitions renewed from May 7, 2018. 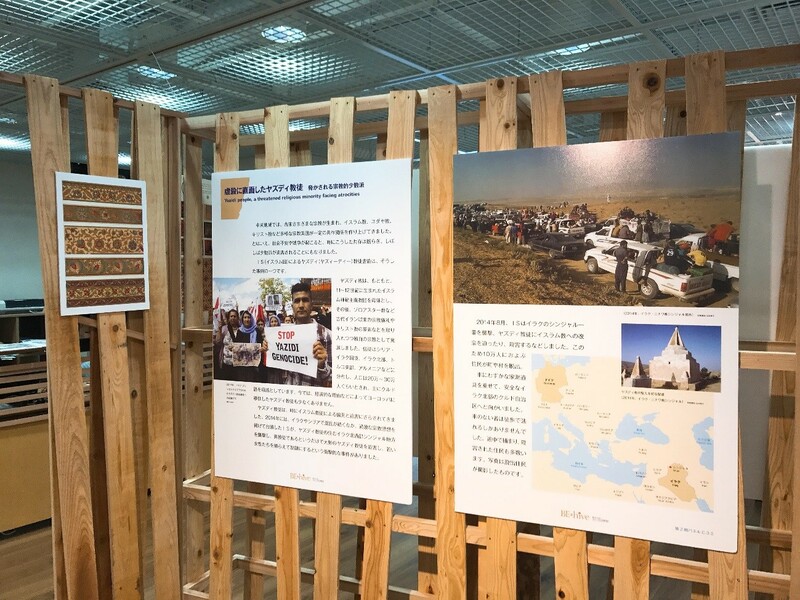 This time we will introduce “Forcibly displaced Syrians” section. It is a new corner from May 7. Here, we present episodes of people who escaped from the conflict in Syria, including clothes and instruments they actually used. In Syria, the civil war which began from 2011, continues still today, and the Syrian people face unbelievble hardships. We refer to this as the “Syrian refugee crisis”. Even though many of them have fled from their country, they say they hope to return to their hometowns some day in the near future. 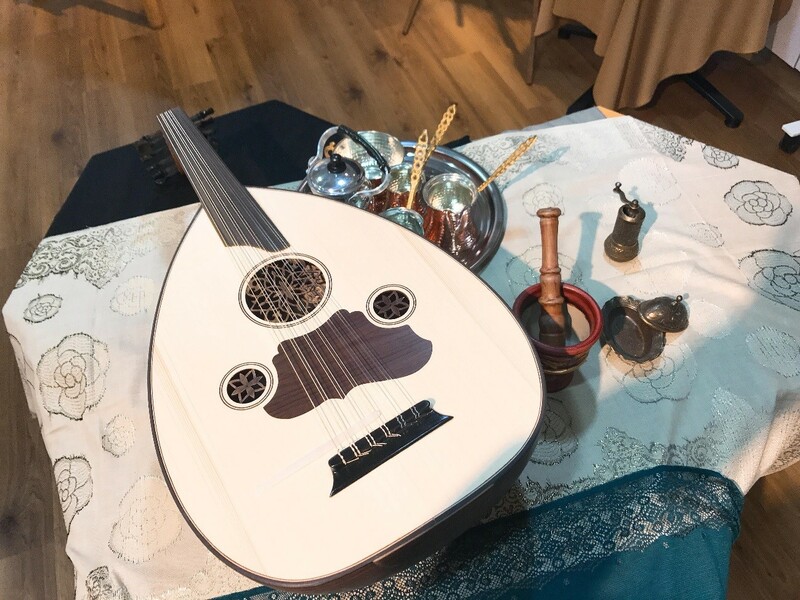 In addition, we exhibit instruments referred to as “Oud,” including cookware and tableware which are used in the Middle East. Please take a look at these rare articles which you can’t usually see. Feel free to touch them. Please note, we are not allowed to take pictures of the panels introducing specific persons in this corner. Thank you for your cooperation. Next time we will introduce the D corner “Refugees / displaced people in Yemen”!